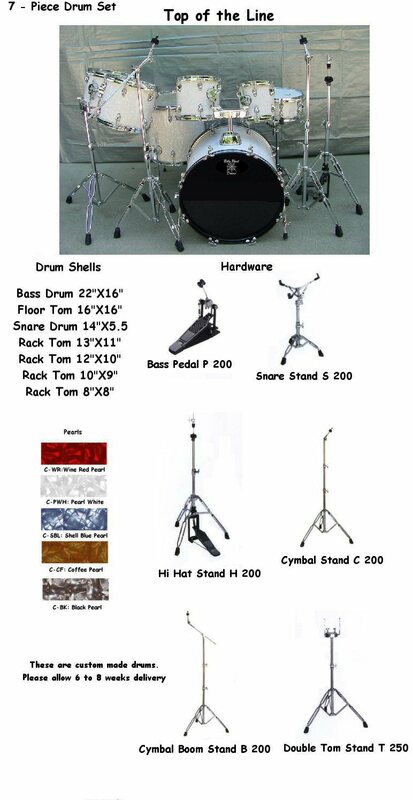 The HD 20722 7-Piece White Pearl Drum Set Kit is beautifully designed, White Pearl Finish with all heavy duty hardware. This one sounds great and will really make a statement. This is for all you Hard Rockers.